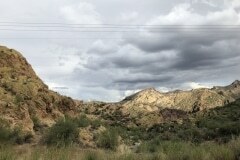 Twas a dark and stormy morning with a real downpour of rain in the early morning hours. 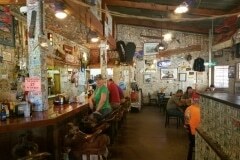 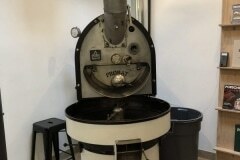 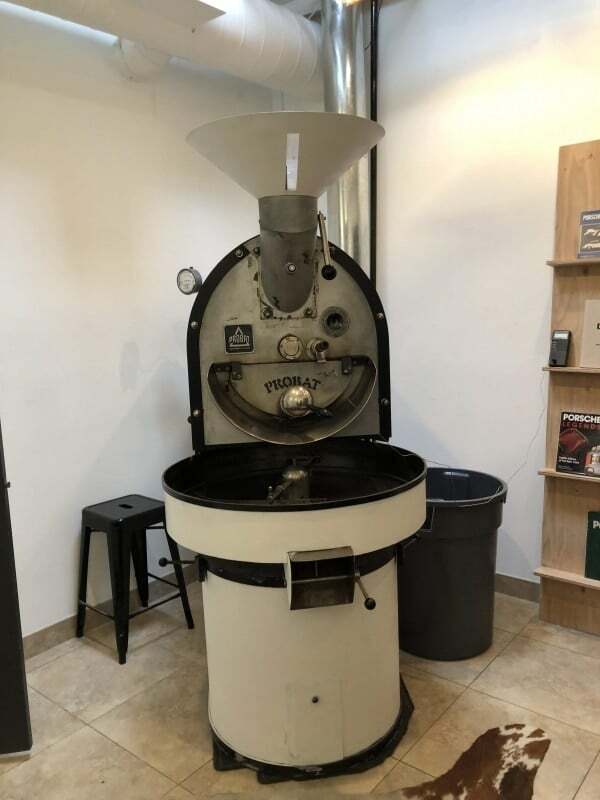 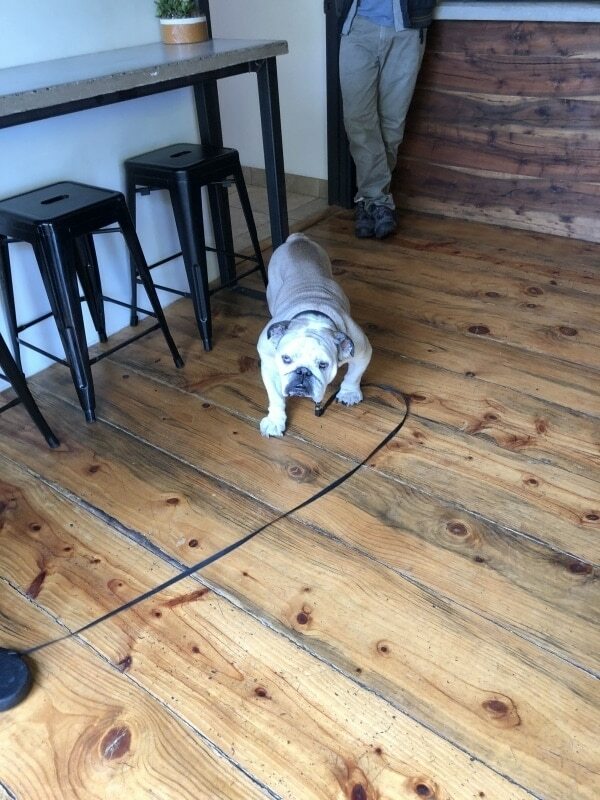 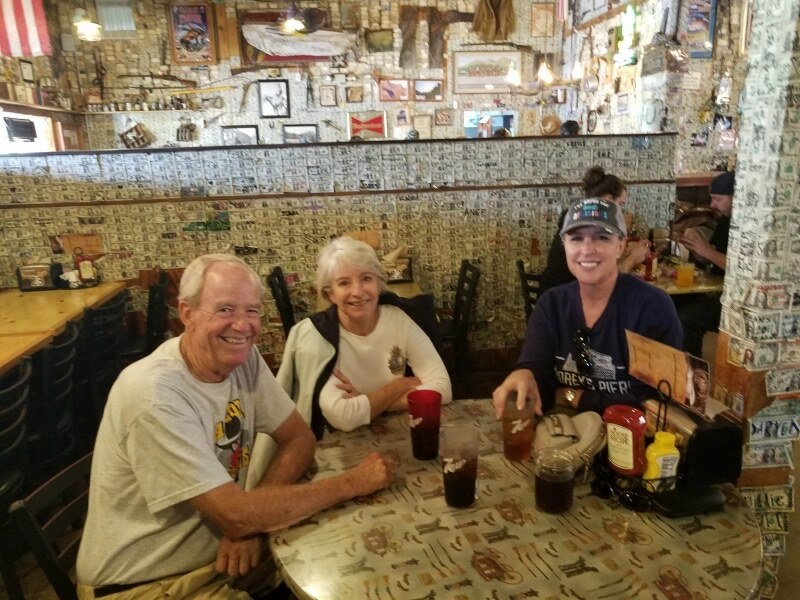 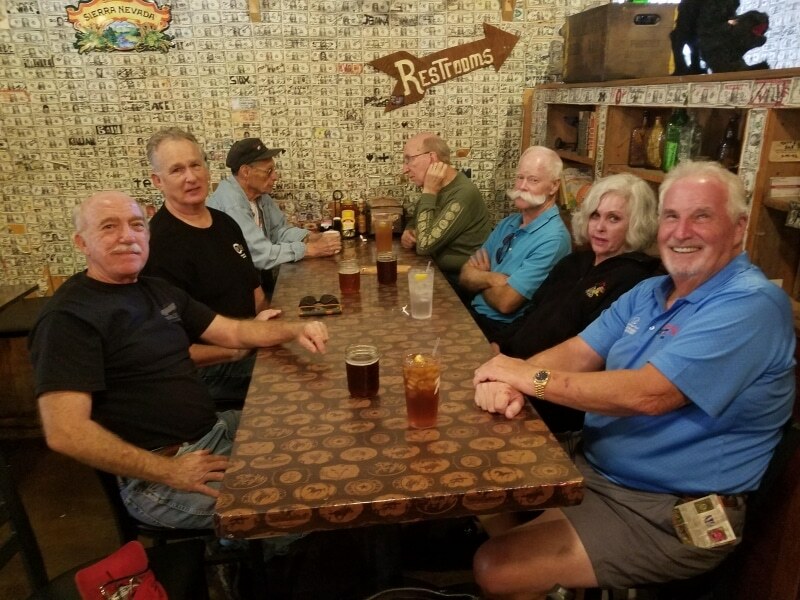 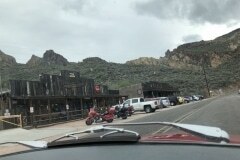 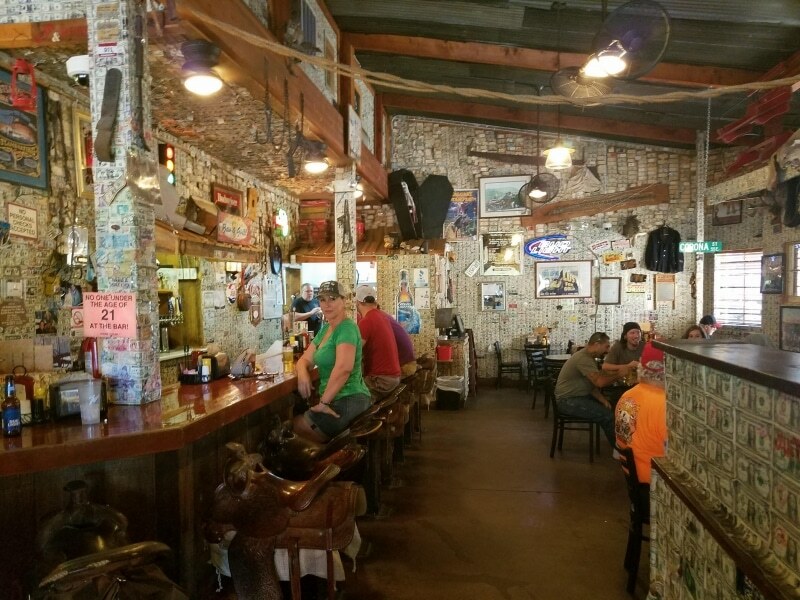 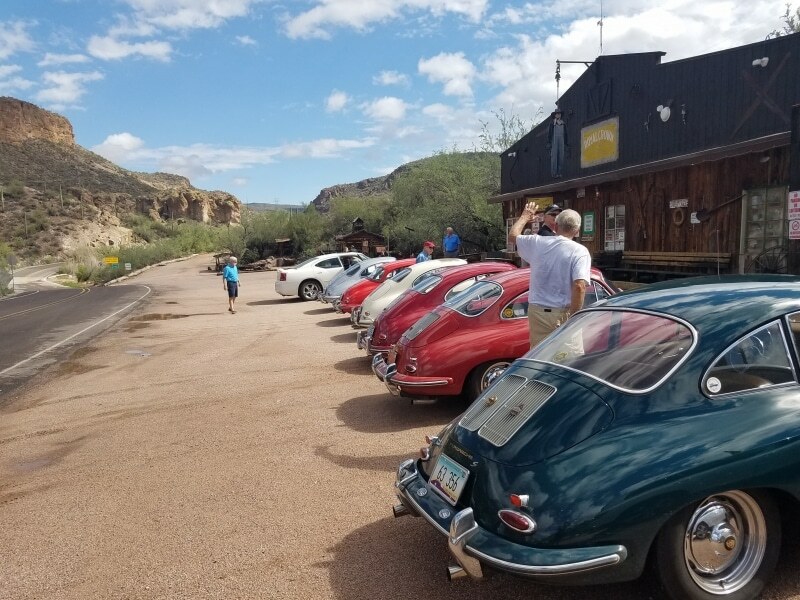 But by dawn it was already clearing up so as to not spoil the Outlaws Fourtillfour coffee meeting and lunch drive to Tortilla Flat. 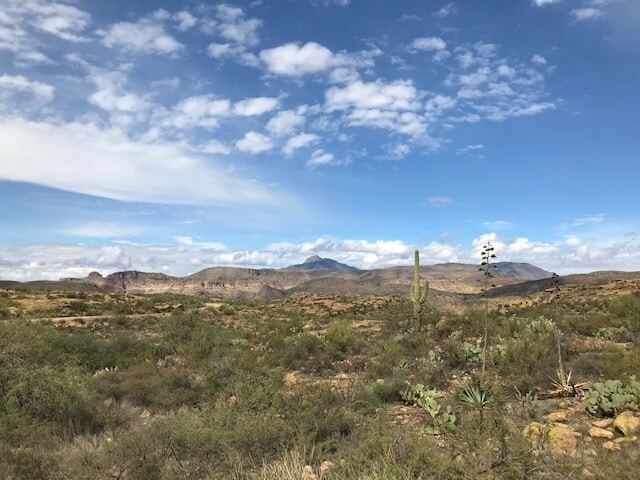 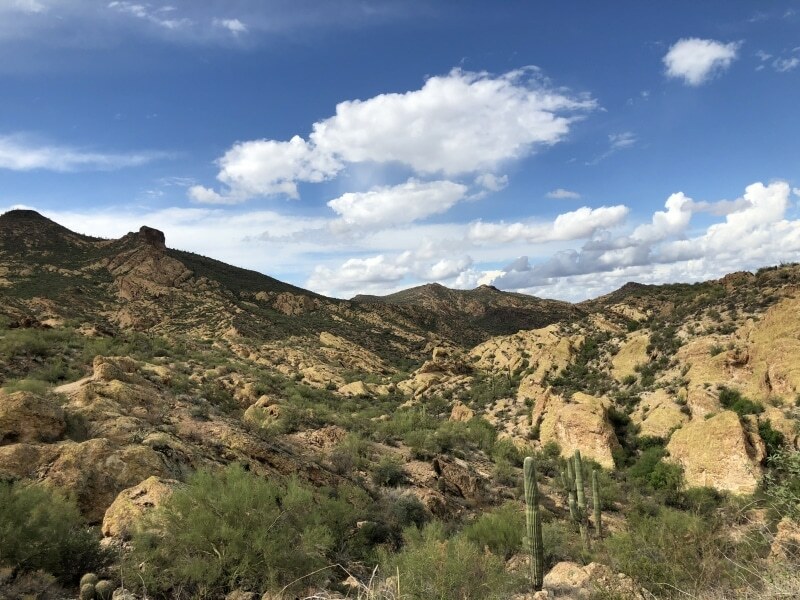 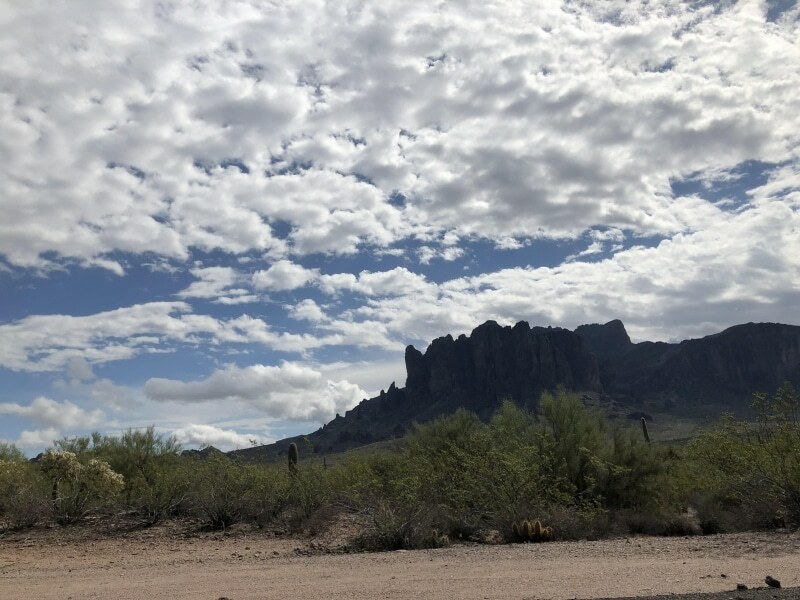 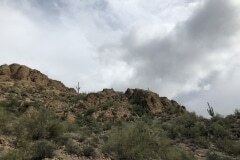 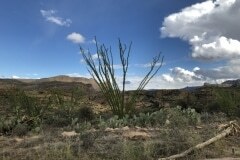 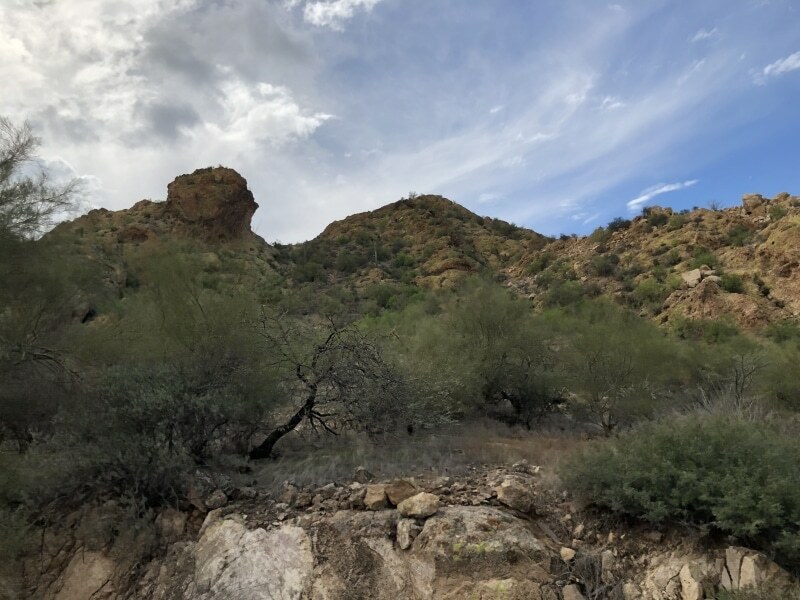 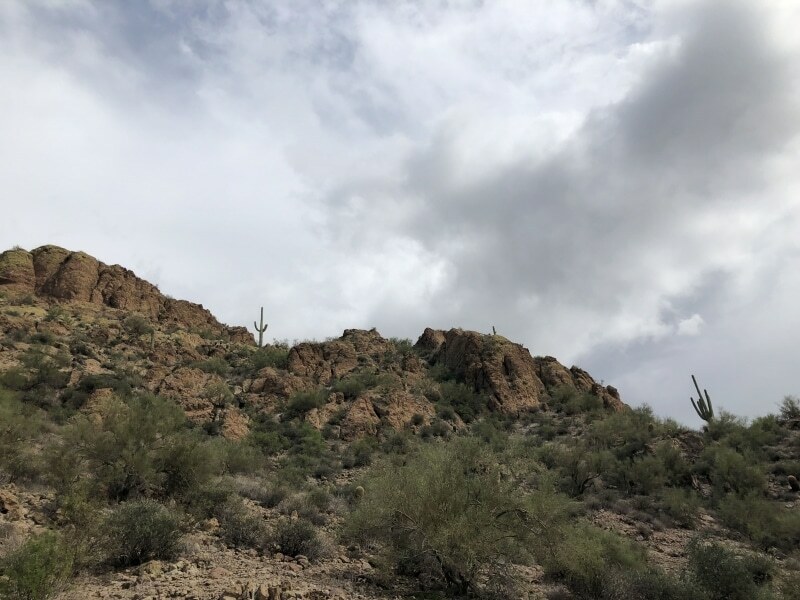 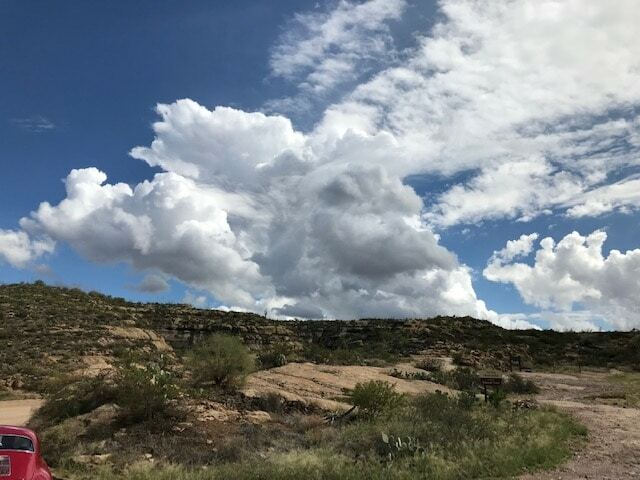 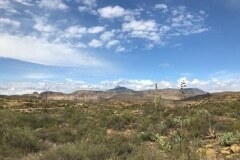 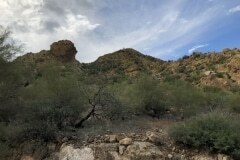 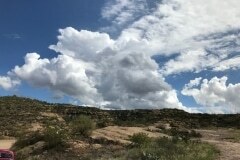 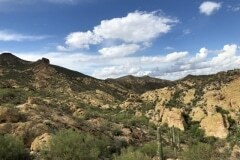 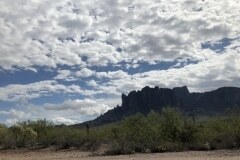 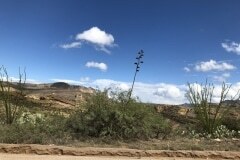 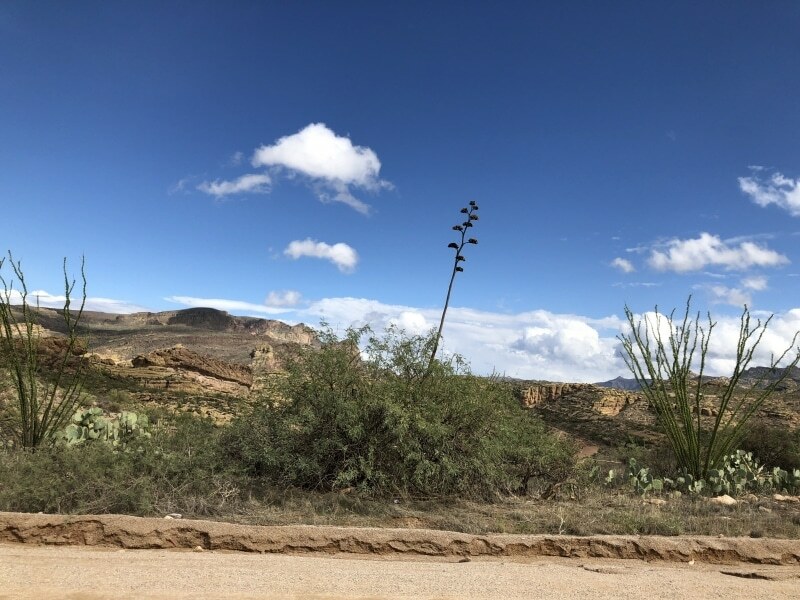 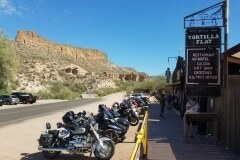 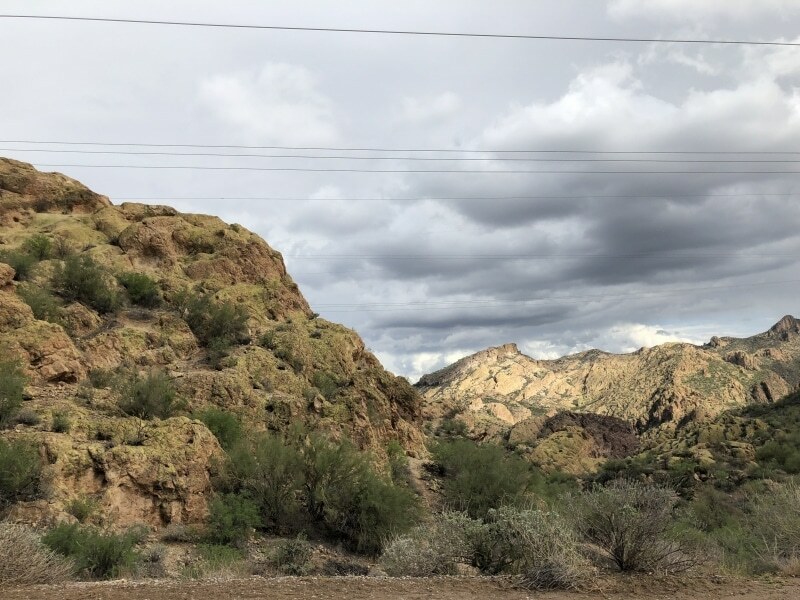 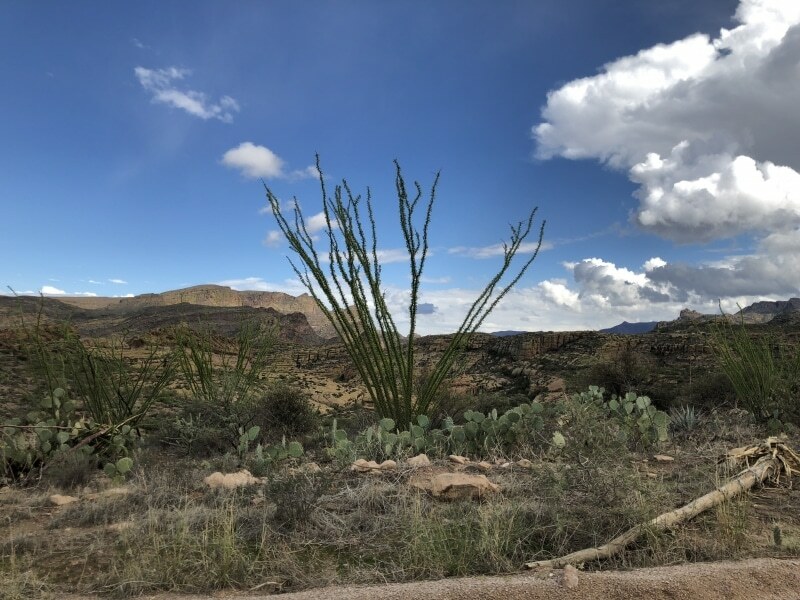 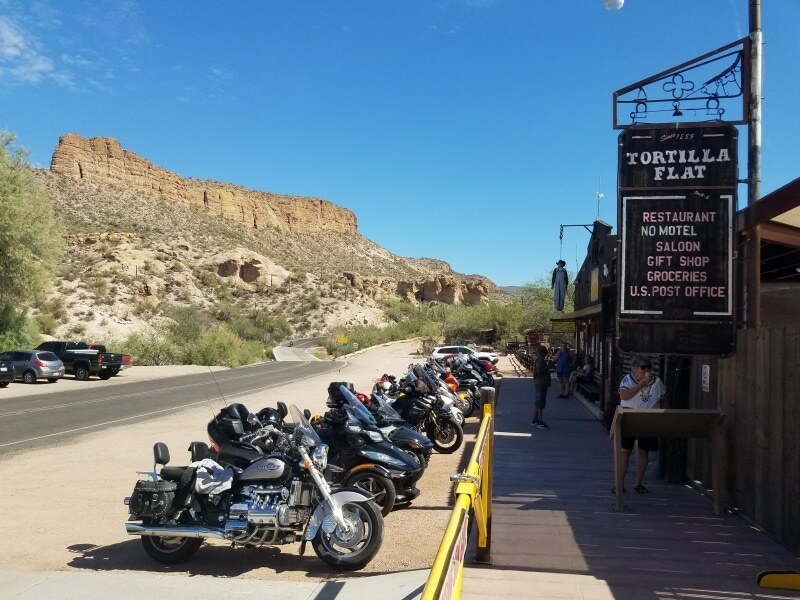 By the 10 am departure time there were blue skies and a great collection of white clouds that are seldom seen against the turquoise skies of Arizona. 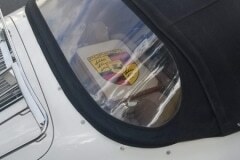 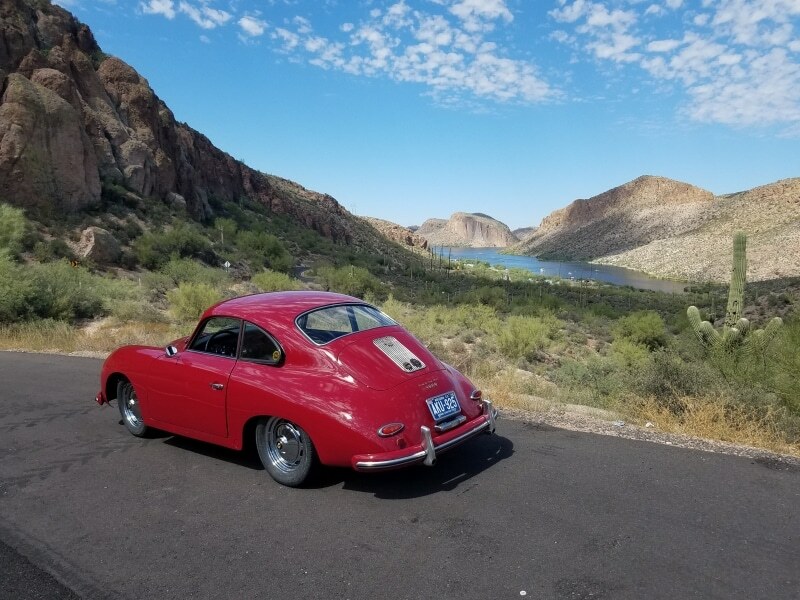 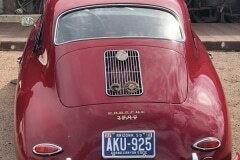 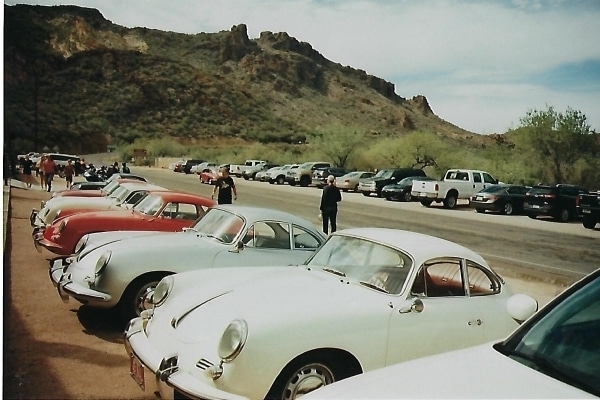 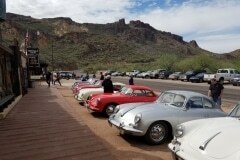 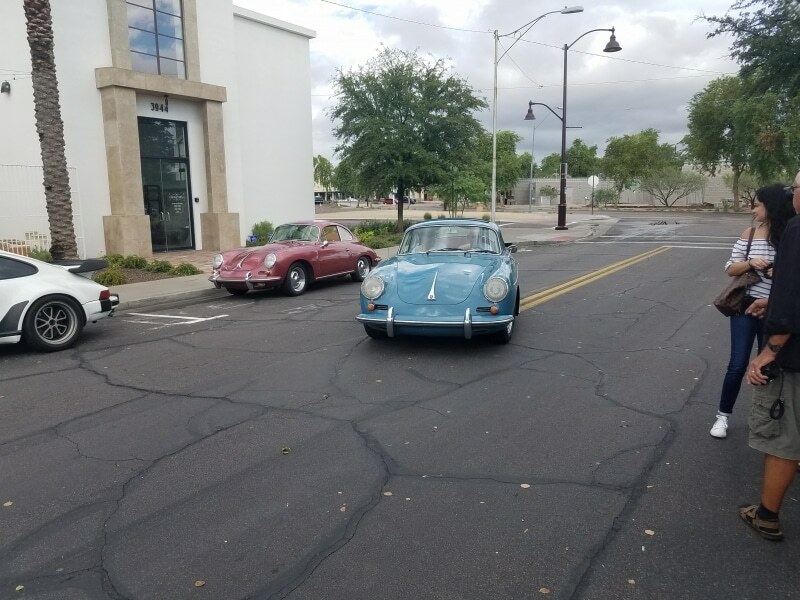 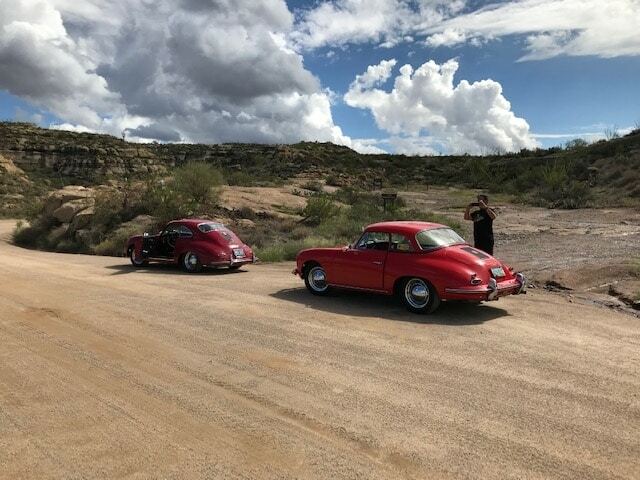 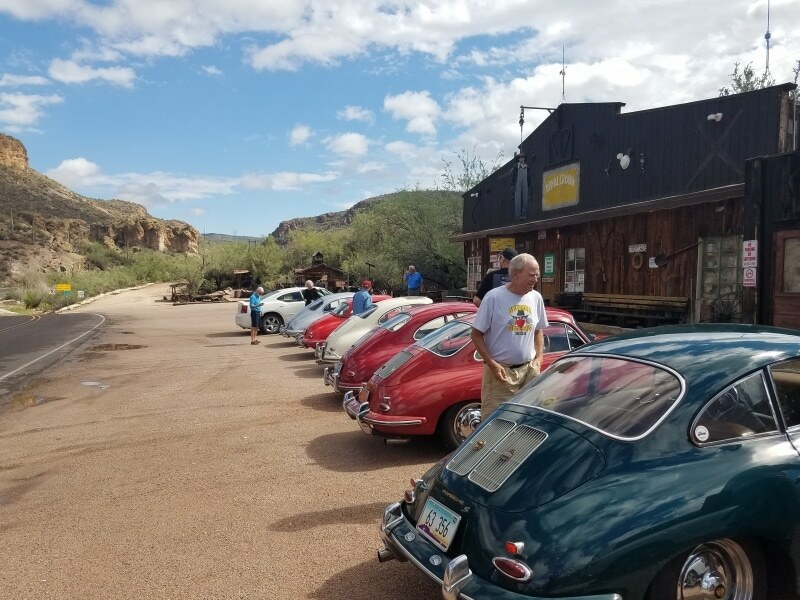 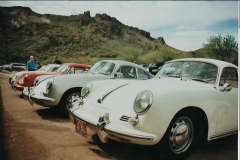 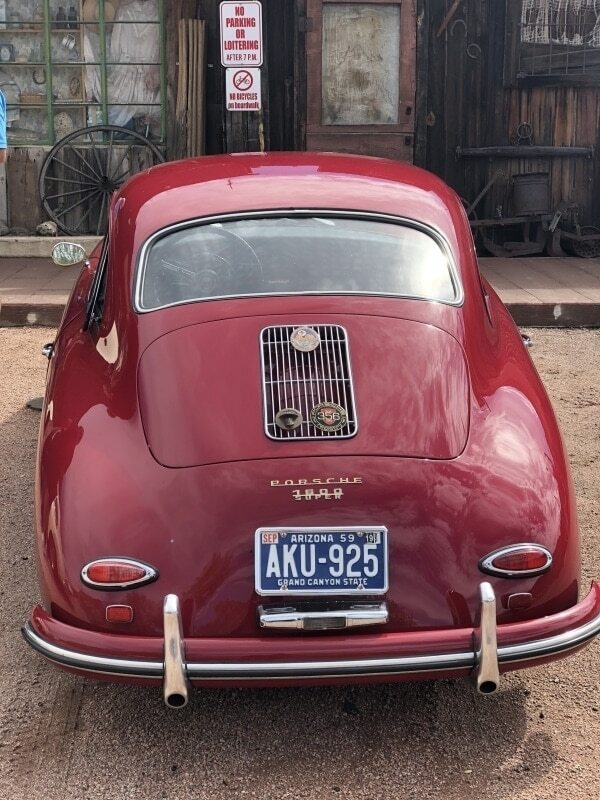 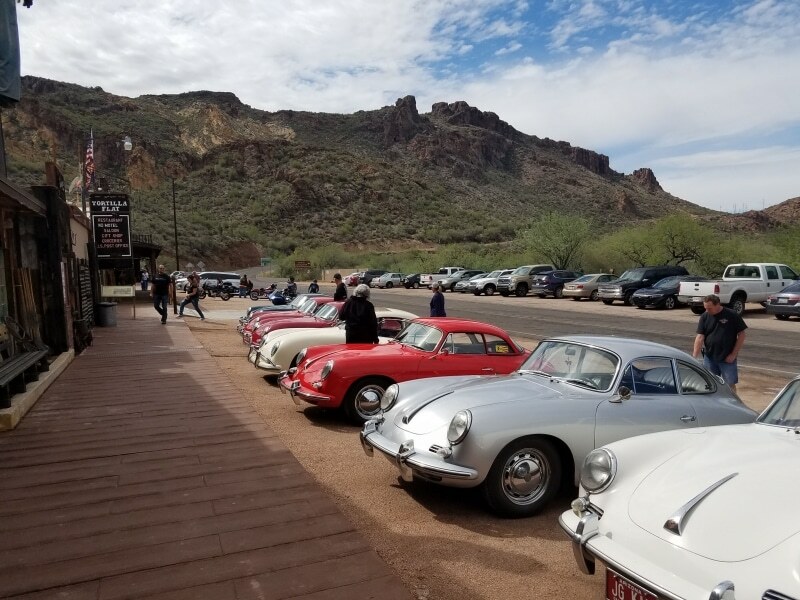 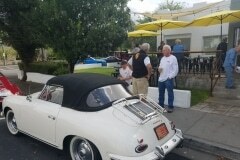 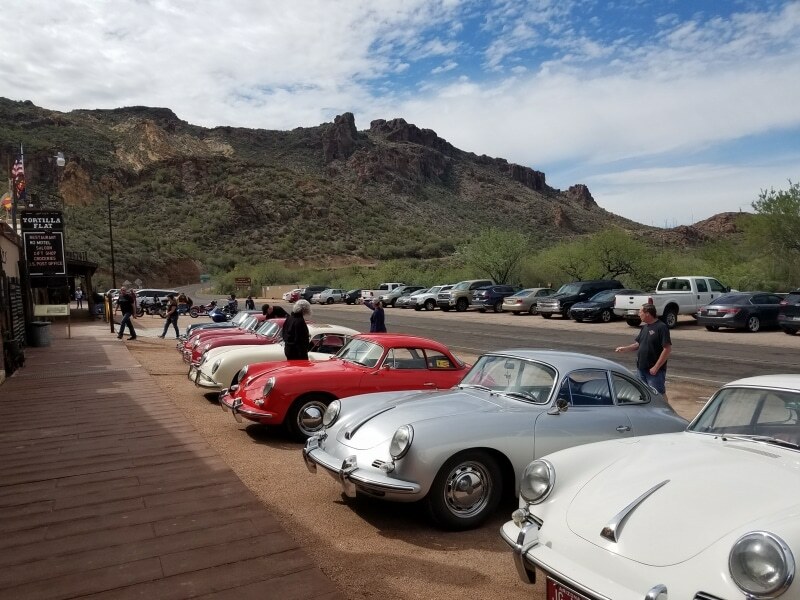 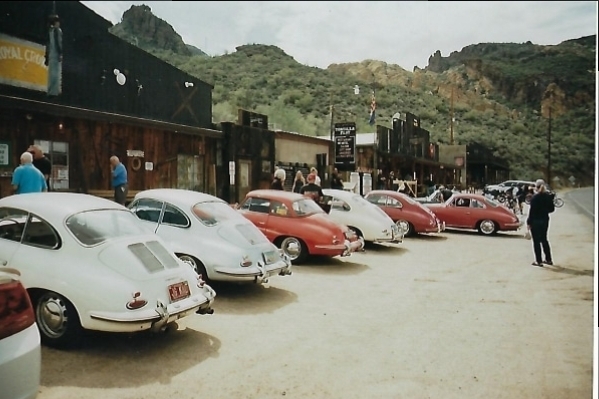 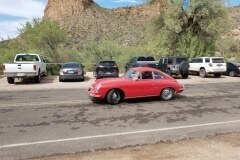 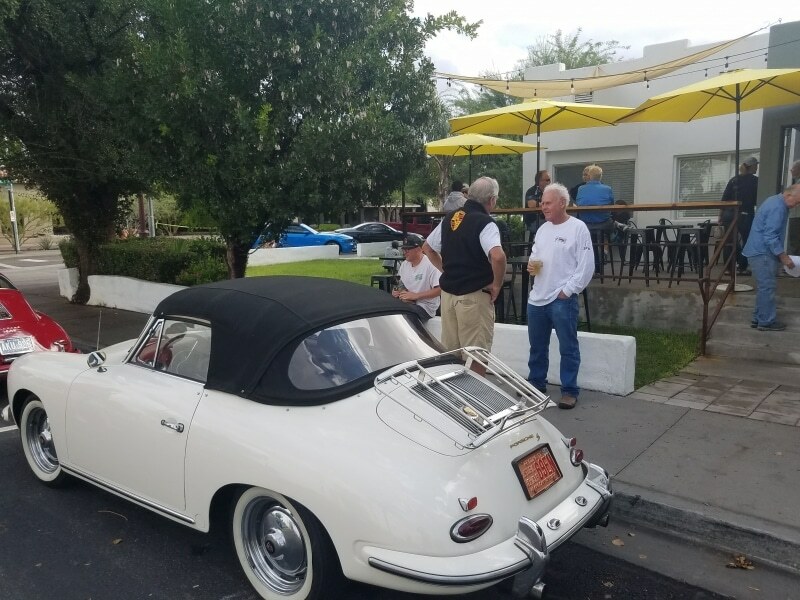 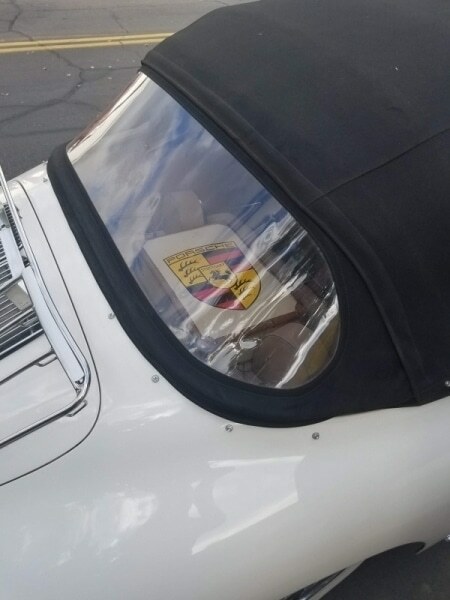 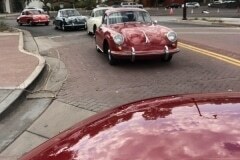 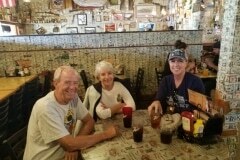 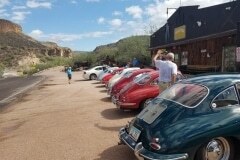 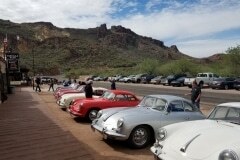 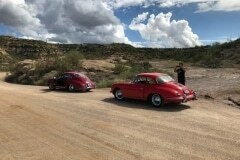 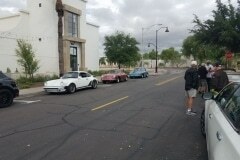 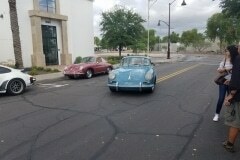 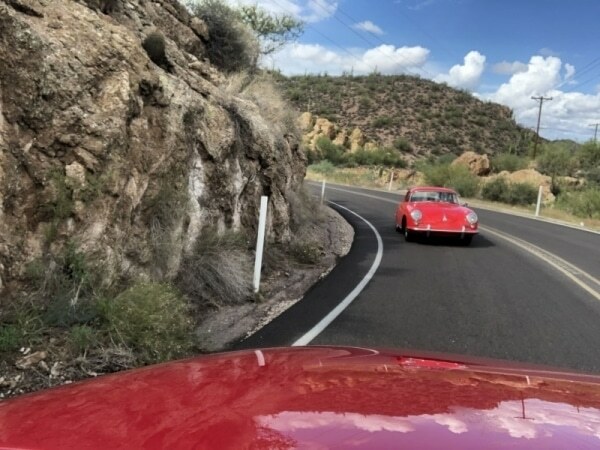 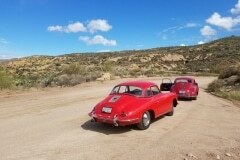 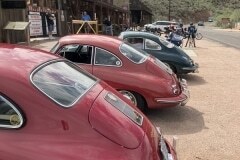 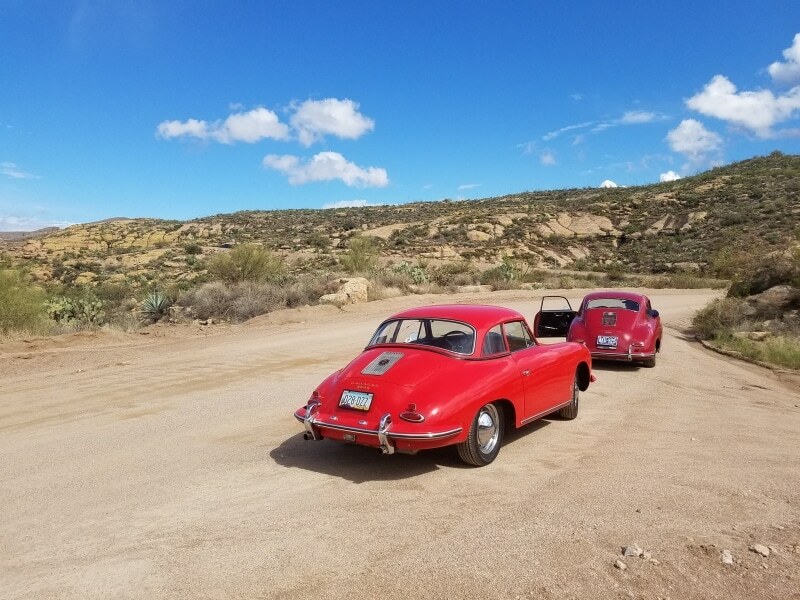 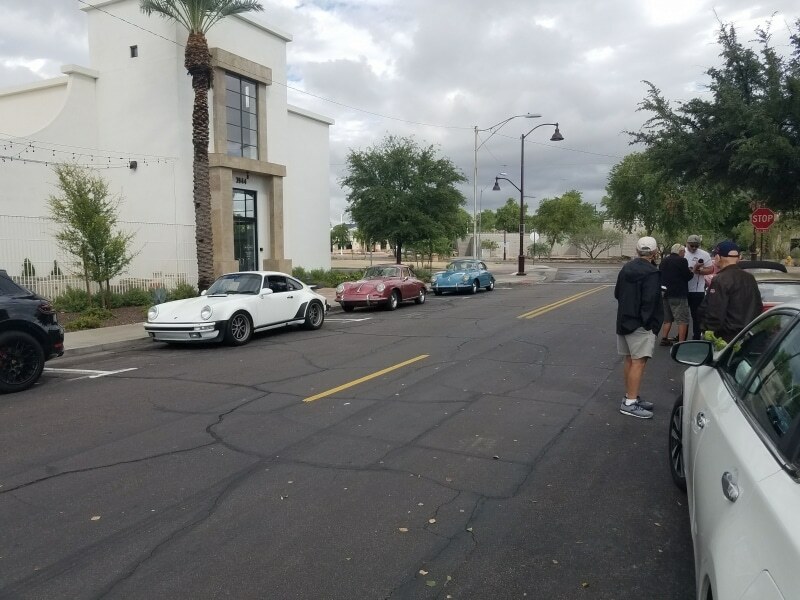 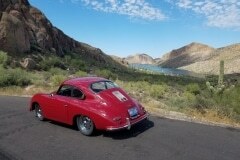 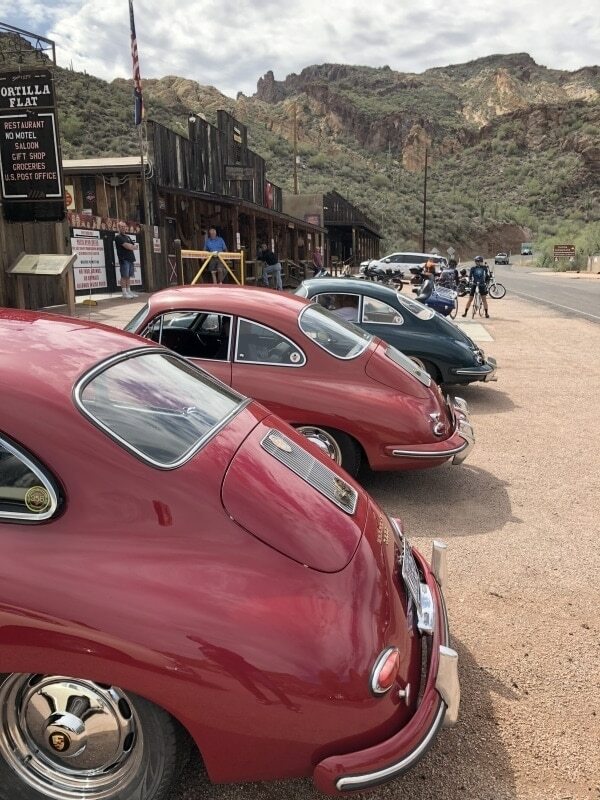 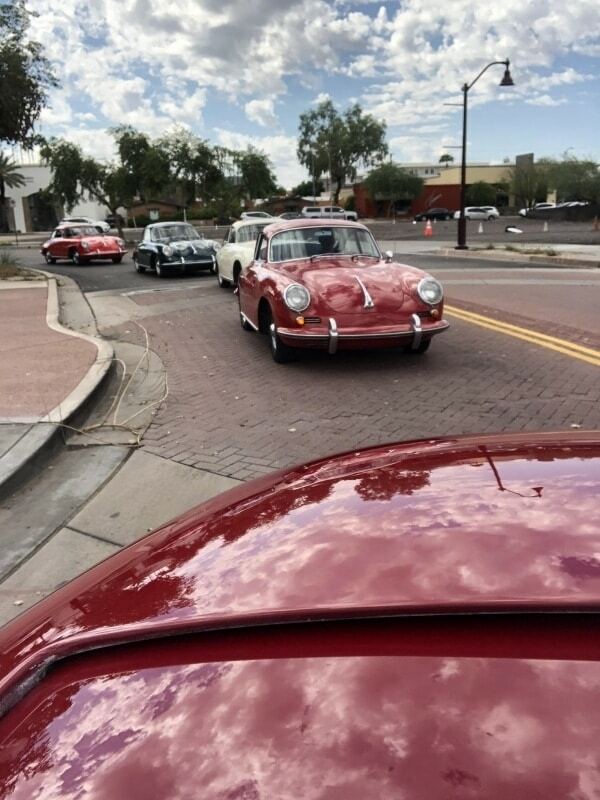 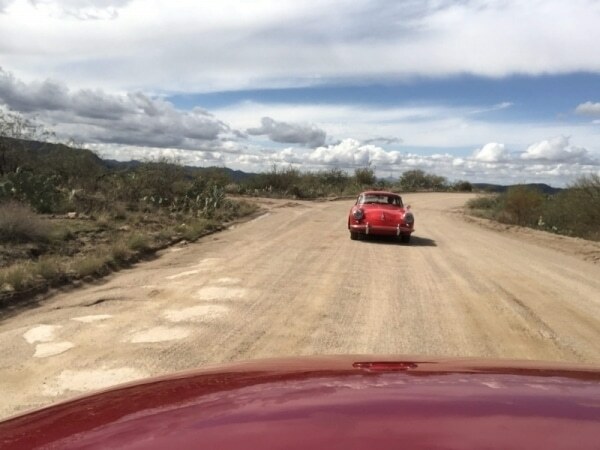 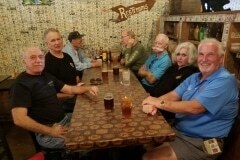 Five intrepid 356's departed for a really scenic and twisty drive on the Apache Trail to Canyon Lake and beyond. 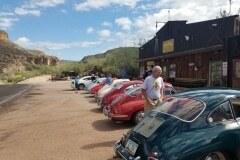 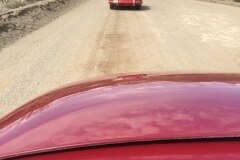 On the way we picked up two more 356's for a total of seven cars and eleven adventurous travelers. 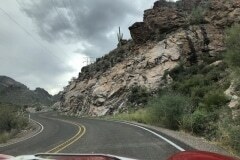 Not a drop of rain was seen all afternoon and everybody enjoyed the cool weather and twisty road. 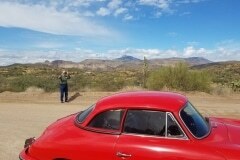 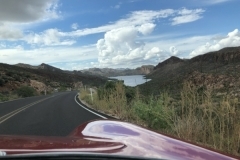 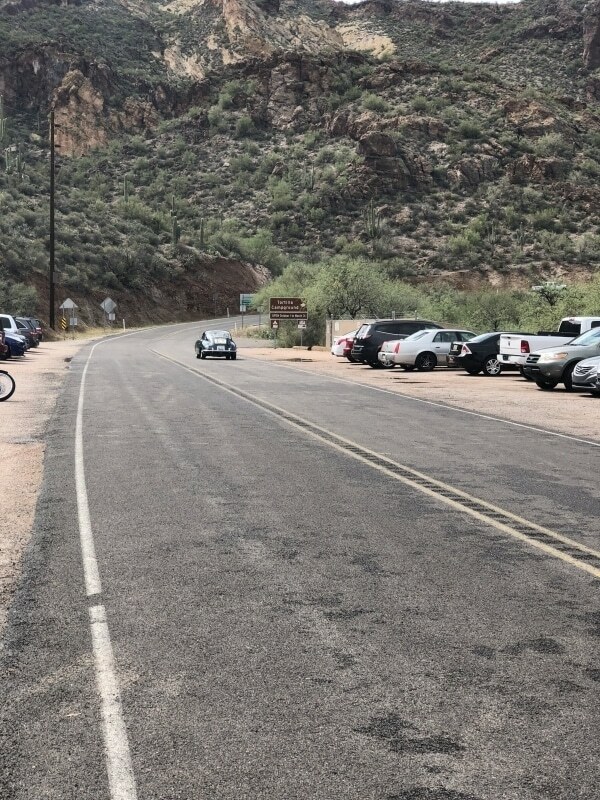 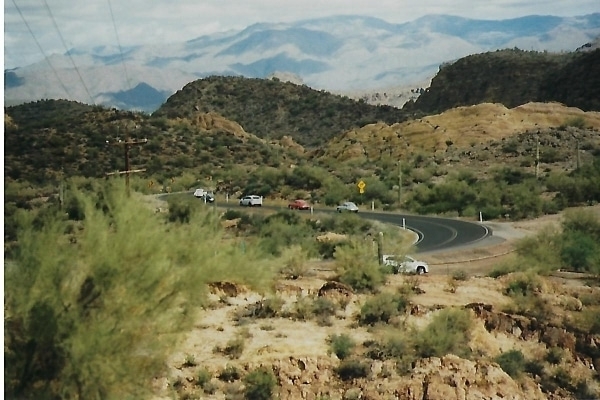 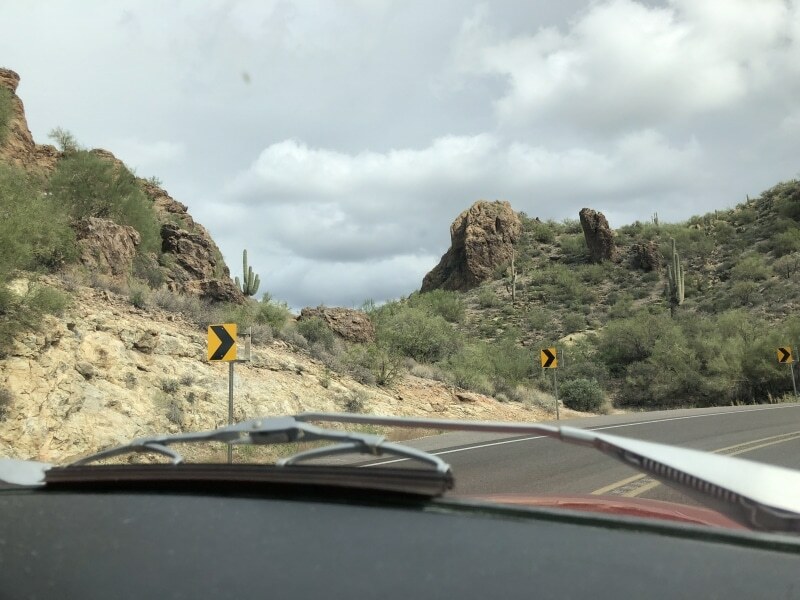 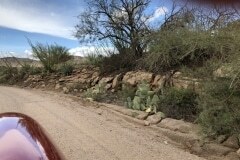 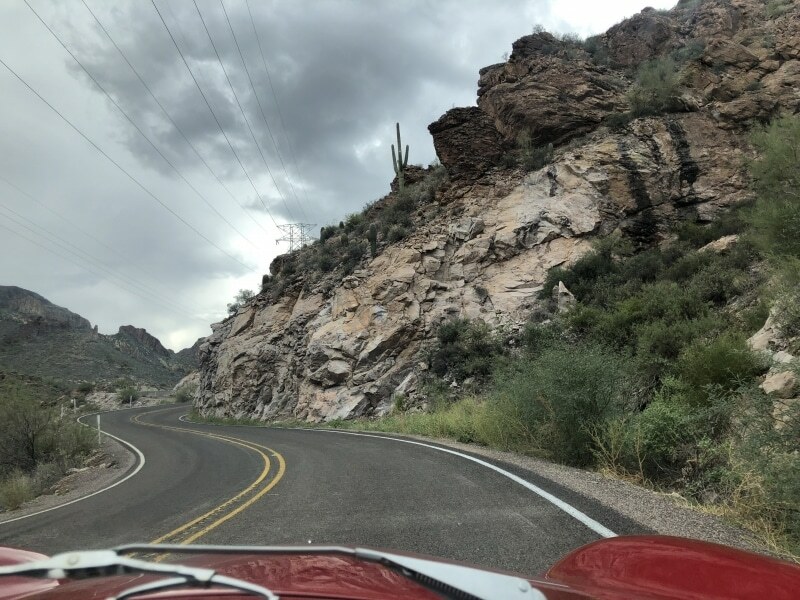 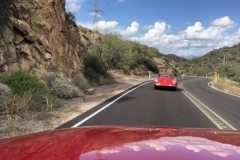 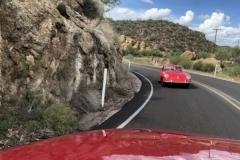 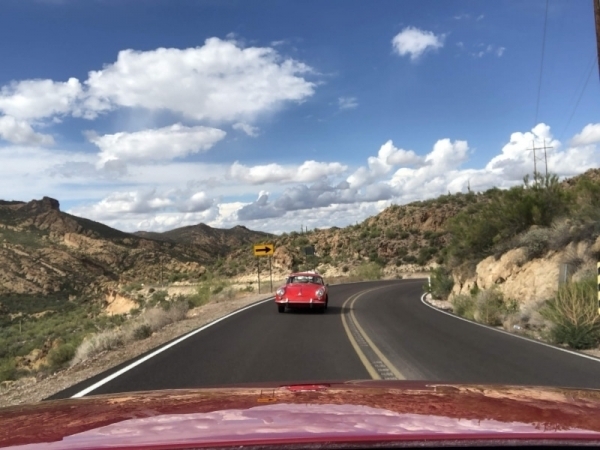 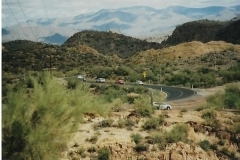 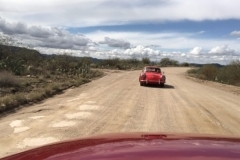 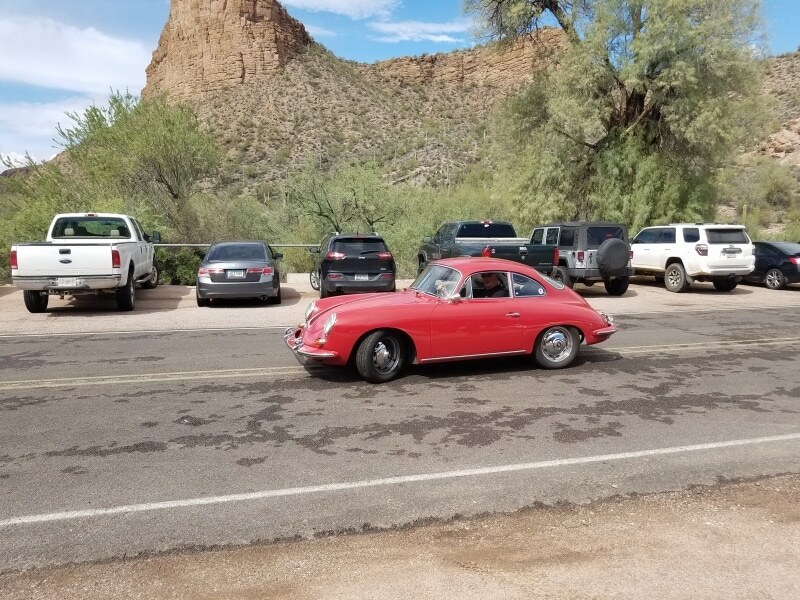 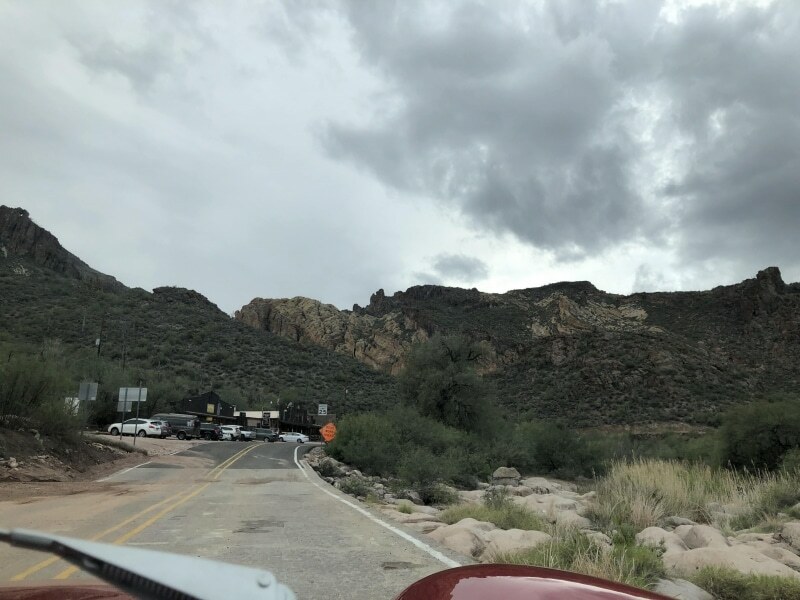 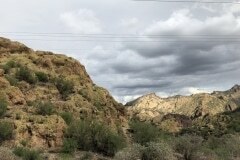 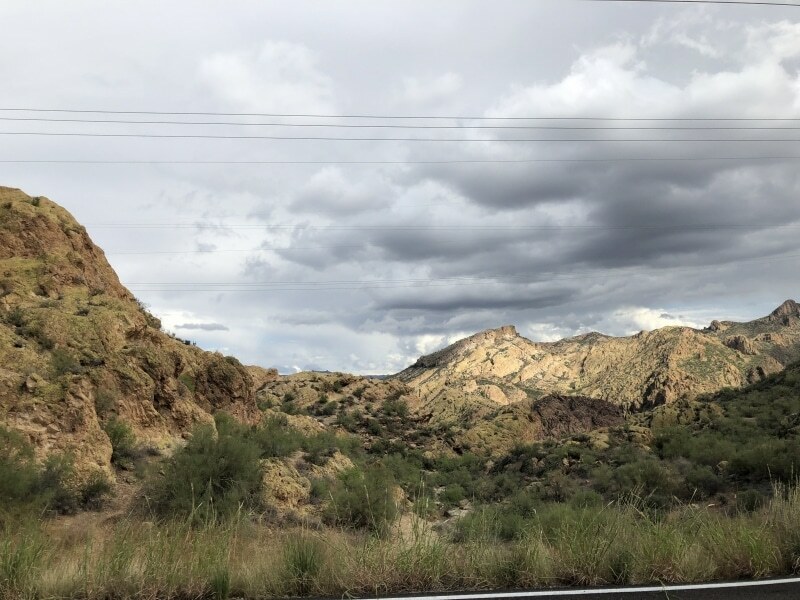 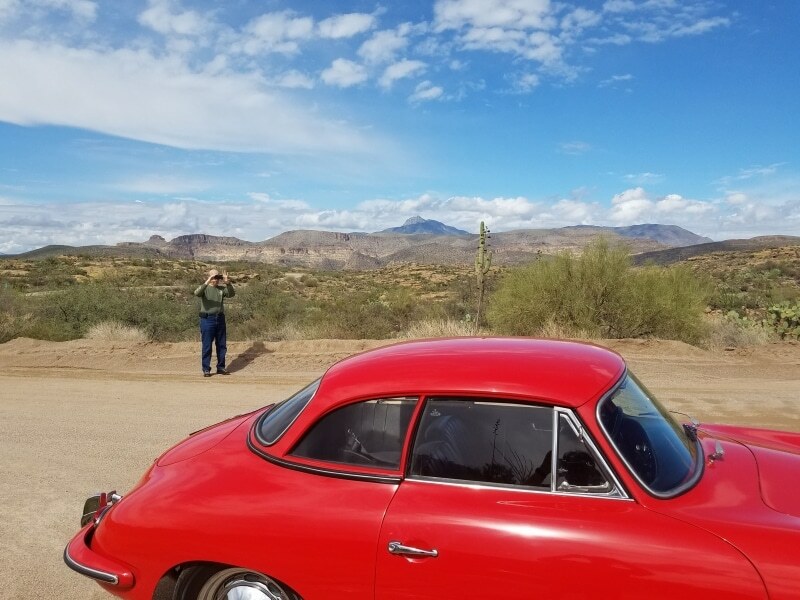 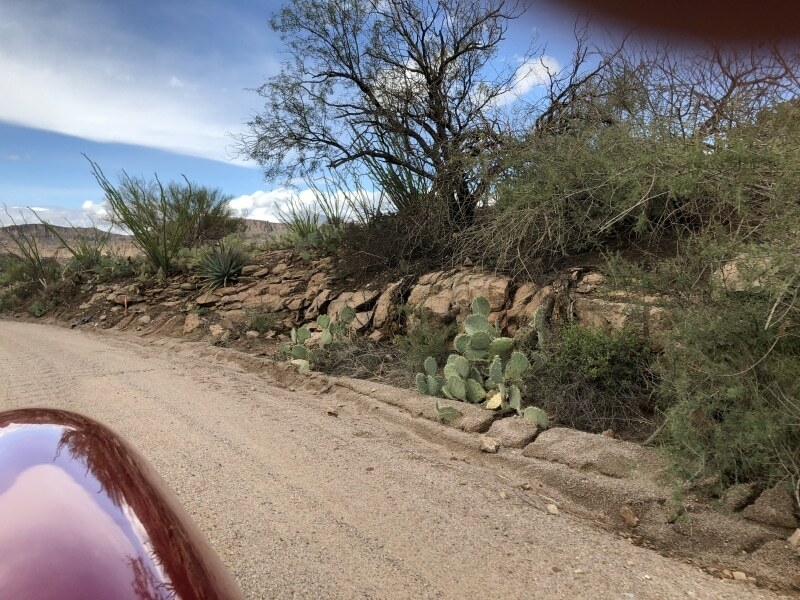 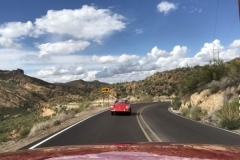 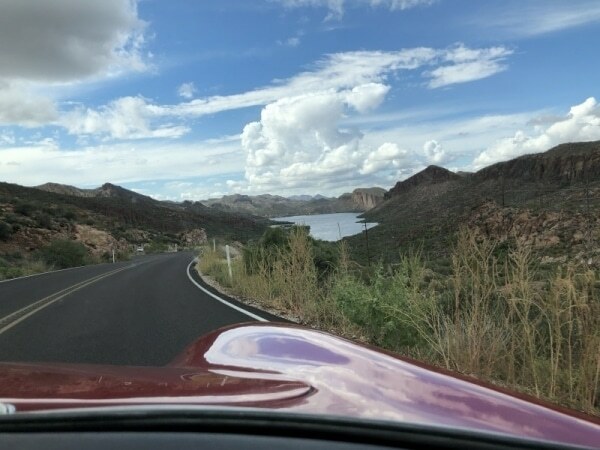 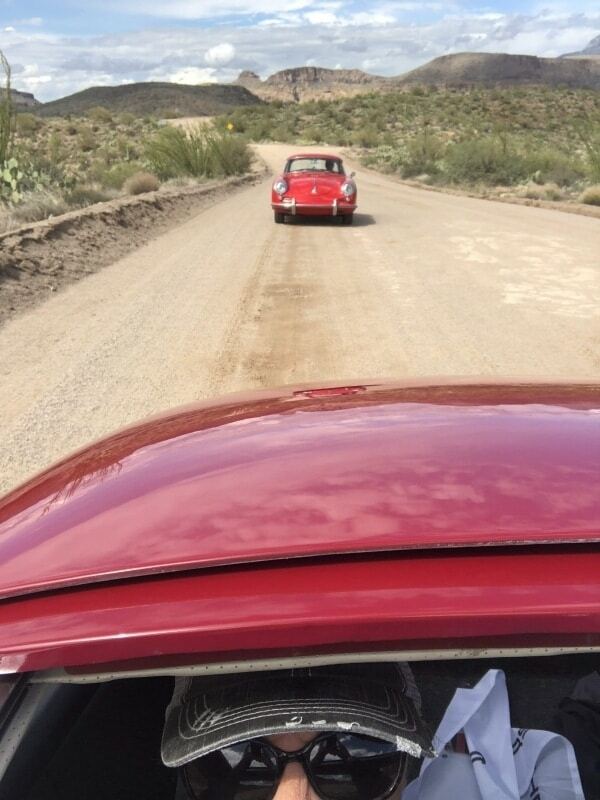 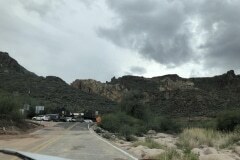 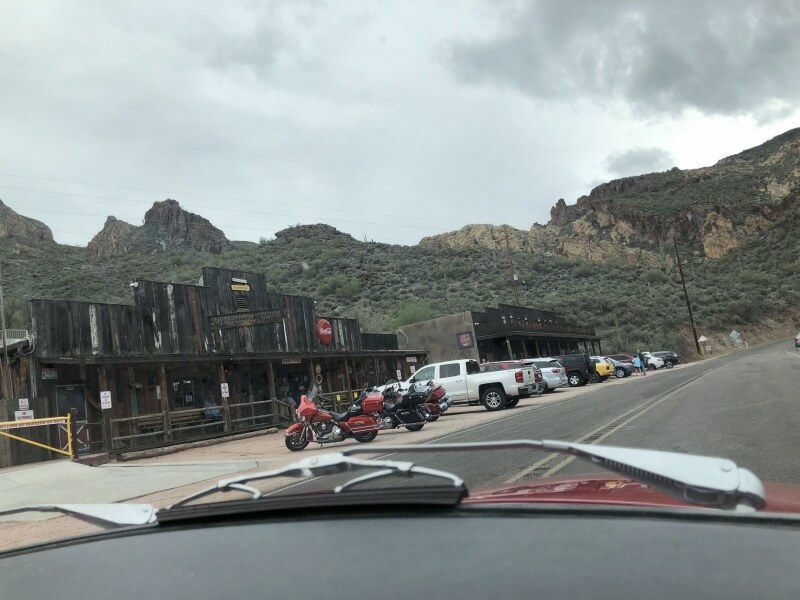 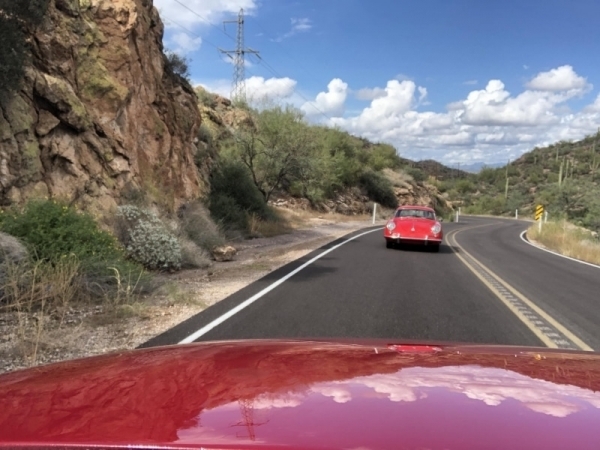 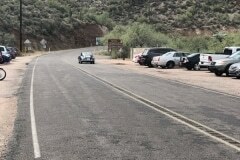 If you have not driven on the Apache Trail recently you may have forgotten how beautiful of a drive it is in a 356.